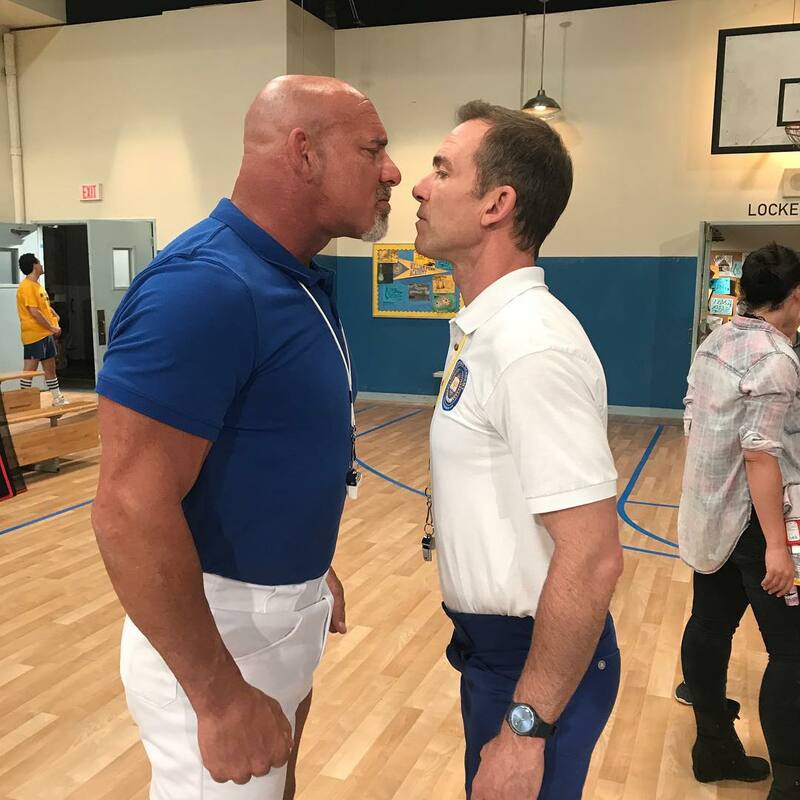 (Bill) Goldberg appeared on The Goldbergs. Kinda baffles me as to why they don't get an 80's wrestler like Hogan or Flair to appear on the show. Just finished season one of MINDHUNTER, genuinely pretty excited for I'm assuming a season two on the way. How many shows can claim to have Ed Kemper as a major player and BTK as a Big Bad? The show ain't perfect, a lot of the show and the people that inhabit it are formulaic archetypes. When David Fincher departs (he only helms the four episodes which bookend the series) the series runs the risk of becoming a bland "monster of the week" procedural of the kind that all of us are surely pretty burnt out on by now, with Mad Men style soap opera fillery tangents that are more insulting than purposeful and a sort of period piece Criminal Minds core... only with a lot more grit. What really kept me compelled and kept me going with this is the use of the real, while it isn't something that I like to shout about, I love true crime... it fascinates me and while this is ultimately a fictional story, there is a lot of real blended in here which I couldn't help but geek out to, all those little easter eggs. It is certainly way better than familiar, but overhyped, shows like True Detective or Hannibal. Second season of Mindhunter was commissioned before the first season even aired. Up to Ep. 8 of it now and I'm loving it. Holden and Tench are a great double act. Plus the guy who played Kemper was awesome. I just started watching "48 Hours", look here. Recently I watch it, really like. Tried watching Mindhunter, but it was so formulaic and the acting was so bad that I just couldn't get past the first 20 minutes lol. I'm watching "The Good Doctor" (an Americanized remake of the very brilliant Korean "Good Doctor") these days. The first 5 episodes are adequate, but they're not half as good as the original Korean drama. You can tell that they decided to be really "safe" with how they portray and treated the autistic doctor on this show whereas in the Korean version you really feel with the doctor because he faces real prejudice. The Americanized version is very watered down in comparison. It's a very good show IF you haven't seen the source material it was derived from. If you have seen the Korean version then I'm assuming you feel the same way I do. WF's Newly minted COMMUNIST! Lets have a PARTY! Last edited by MRS. REAP! WARM ME UP (before i freeze to death on youuuuu); 10-25-2017 at 09:00 PM. Who here likes the good doctor? Mindhunter (Netflix) gets a big thumbs up from me I was particularly impressed and lured in by Jonathan Groff's brilliant nuanced performance. The soundtrack was also top notch. Anyone know if they sorted out the audio for The Expanse on Netflix yet? My Dad swears by the show and I have been looking for something new to watch but I remember when I tried it last, like a year or so ago, the show was practically inaudible. Especially when they had songs playing, it seemed to overwhelm everything else. I don't know if they've fixed the issue or not, but The Expanse is arguably the best sci fi show on TV right now. Definitely worth getting into.